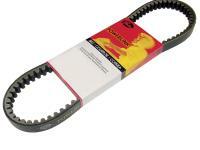 Gates Powerlink Standard CVT Drive belt size 780 X 16.5 X 30. This belt is suitable for: Eton Beamer II (49cc) 2005-2006 and Eton Beamer Matrix (40cc) 2005-2006. Constructed from Polyester cord and Kevlar fiber.